Send A Message To Danielle. I help parents deal with both everyday and unusual parenting and family issues. I am a Doctor of Education (Teaching and Learning), with a Master's degree in Educational Psychology and Special Education, a B.Ed - BC and Ontario Certified Teacher with specialization in Developmental Disabilities, and a B.A. in Psychology. I have 30 years of counselling, consulting and teaching experience in both college and university. I specialize in problem behaviour with all children – especially those with learning, behavioural and developmental challenges (including ASD). I work with families in my West Kelowna office, on Skype, and consult in schools. I conduct intensive family intervention sessions. I am a Counsellor/Consultant who uses proven ABA (Applied Behaviour Analysis) and CBT (Cognitive Behavioural Therapy) techniques. Additionally, with individuals, I work with eating disorders and personal management. I conduct workshops for parents, teachers and professionals and provide staff development/leadership training to organizations. 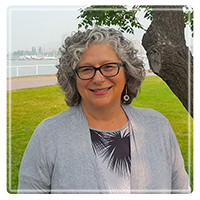 I am a Registered Clinical Counsellor in BC (RCC) and I have also been a member of OACCPP - Ontario Association of Consultants, Counsellors, Psychometrists and Psychotherapists – for many years.